Devoid of any innate ability to absorb dragon souls or lacking the experience and training of a ruthless Witcher, Outward instead sends you packing into a hostile world as a feeble adventurer with little but the clothes on your back for protection. Even set in the fantasy realm of Aurai, this open world RPG prides itself on simulating a sense of realism that remains faithful throughout heated combat encounters to when you first contract a cold during a brisk snow storm you decided to tackle woefully under-prepared. Story-wise, a brief intro depicts how our protagonist has returned from a failed expedition to pay back debts owed. It’s clear Outward works to incentivise multiple playthroughs and has catered both its narrative and gameplay to best accommodate this. Aurai is made up of four radically different factions. Affiliate with one to indulge in one of several elaborate and unique story arcs. 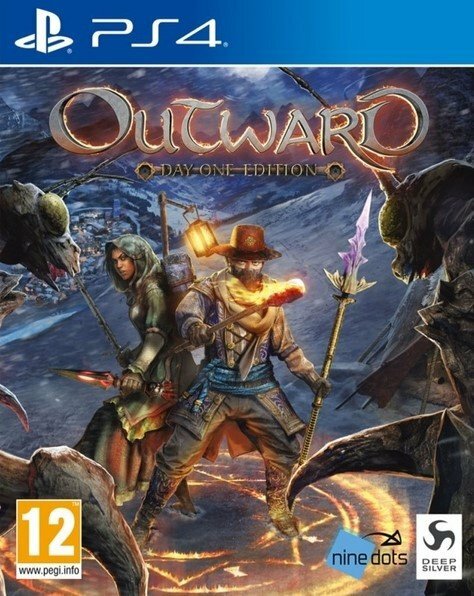 Even Outward's tutorial remains a separate entity to your adventure itself and little else is offered in the way of guidance as you play, further emphasising the replayability the game encourages. Whilst first-timers will have the means to get to grips with Outward, there's also comfort for those returning for seconds or thirds in not feeling obliged to unwillingly endure long-winded explanations for features they’re already well acquainted with. 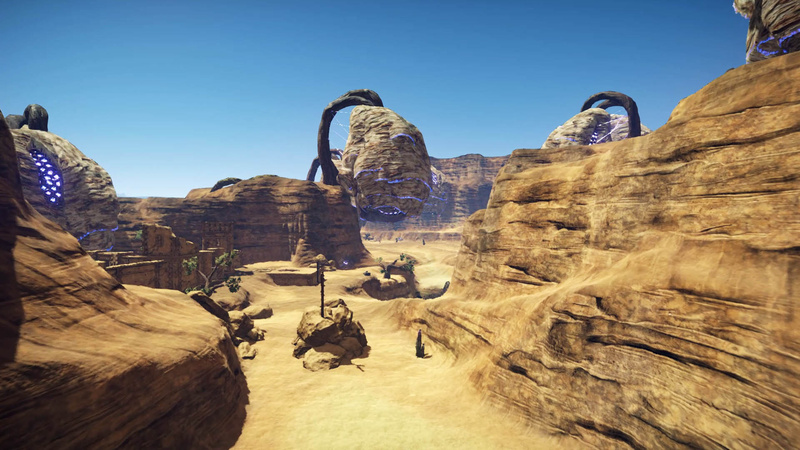 The game’s world is extensive and free to explore entirely at your leisure from the get go. However, be sure to pace your adventure and avoid frolicking off into more advanced regions right off the bat. Although failure in battle doesn't result in "death" exactly, you'll still find yourself struck down, stunned and stripped of your equipment. Outward has abolished manual saving and has instead opted for fixed auto-saving that ensures you must face the consequences of your actions. Did you charge into that dungeon brashly and ill-equipped? Well, don't be surprised when you wake up a hostage to a whimsical, burning ghost man wielding a weapon bigger than your entire being. Forget to do that timed quest? Well, sit back and watch the ripple effect caused by your misspent time as you won't be able to reload an older save file to amend your mistakes. Instead you must live with and learn from them. 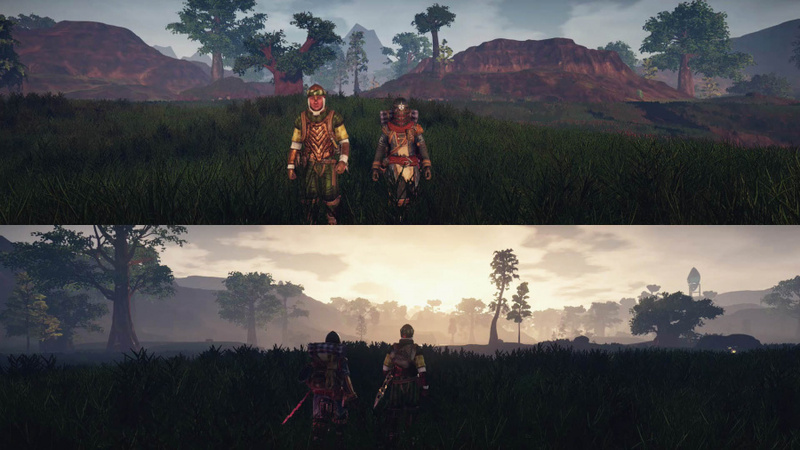 Outward’s visual fidelity is admittedly nothing to write home about, especially in light of recurring rendering issues. However, extreme palette changes across regions that each possess their own distinct aesthetic holds its own sense of charm. Even with a map and compass, traversing your way through the wilderness can be taxing in the absence of way-points or any indication of your whereabouts on the map. Fortunately, Outward’s world design is generally flat, barren, and lacking NPC’s. This may make for dull moments when retreading your steps thanks to inability to fast-travel, but makes certain that any points of interest stand out like a sore thumb. It undoubtedly invokes a more authentic adventurer vibe as you unearth uncharted locations on your travels. As it stands, Outward is no stranger to glitches including one that sees maps overlapping as you migrate across regions, directly compromising your ability to navigate from A-to-B and staggering the pace of exploration with no easy fix. Sadly, this isn’t all that hinders the gameplay thanks to incessant loading screens. These may provide you with helpful tips, but make for serious thumb twiddling time as you load your way out of a dungeon before loading into a city and then your house when you only hoped to promptly stash or make use of your loot. 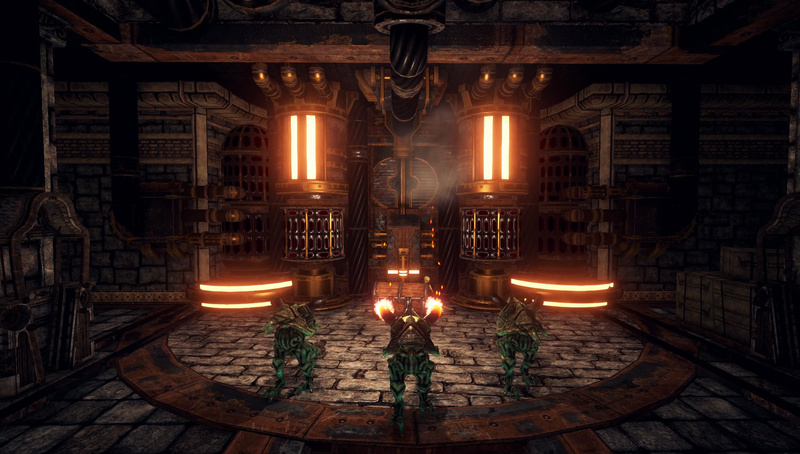 Aurai may seem alluring and inviting to explore during the day but as night falls, it transforms into a sinister and foreboding place chock-full of unforgiving enemies, and that's not all. Integrated survival traits mean you’ll be frantically gathering resources on your travels to maintain your food and water consumption. Backpacks are paramount and of varying capacities for holding your hard-earned gear or attaching lanterns to for convenience. A bug can occur when exiting the game, however, in which loot from your backpack is unexpectedly discarded. Transferring significant items to your pockets prior to quitting can counter this, but it’s a monotonous, time-consuming task that no player should rightfully have to do. You’ll need to make efficient use of your resources and crafting systems in order to combat Outward’s intense weather conditions that will see you contract a serious case of man-flu if you try to tackle snowy environments in nothing but your skin. However, this causes no hindrance and instead acts as an immersive way to have you feeling like a real survivor. Torch light does little to illuminate the blackness of night and this often thwarts your ability to proceed. Therefore, it’s wisest to rinse the daytime to travel and exploit the cover of night to set up camp, craft some provisions, and generally recuperate your stats with some rest. 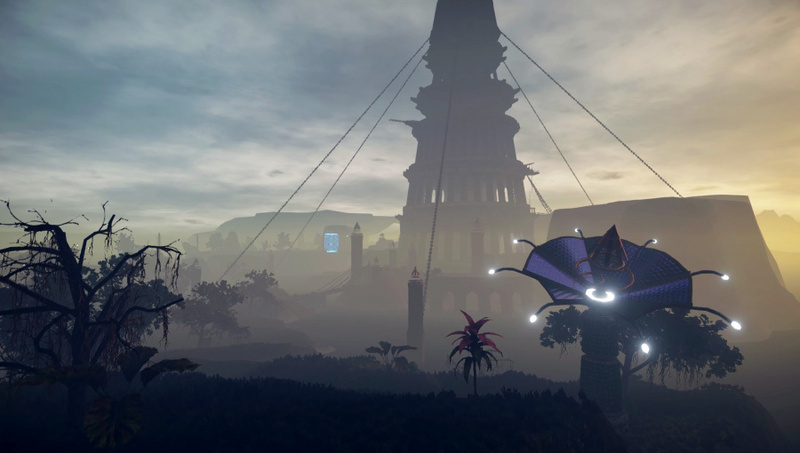 Although most encounters with Outward’s manifold of enemies can be avoided, when called upon it exhibits a vague likeness to Dark Souls. Strongly tied to stamina and stability, you use a combination of normal and heavy attacks in conjunction with dodges to take down a foe. Your backpack and carry weight has a direct impact on your ability to evade, so you may want to consider temporarily tossing your belongings to one side to counteract this. Possible moves vary across the myriad of weaponry within the game and although loot is few and far between (nullifying tedious inventory management), you can salvage or craft some nifty tools of destruction from resources picked off of fallen bad guys. Across the course of the game you may train with residents of Aurai to obtain new skills or spells and acquire the resources to pull them off, all of which may occupy one of eight quick-slots. Although combat feels versatile and fun, AI can feel incompetent and easy to manipulate. In most cases you can literally run circles around them without taking a hit. Some enemies do pose a greater challenge and you’ll need to add method to madness by tying together a complementary string of skills to overcome them. 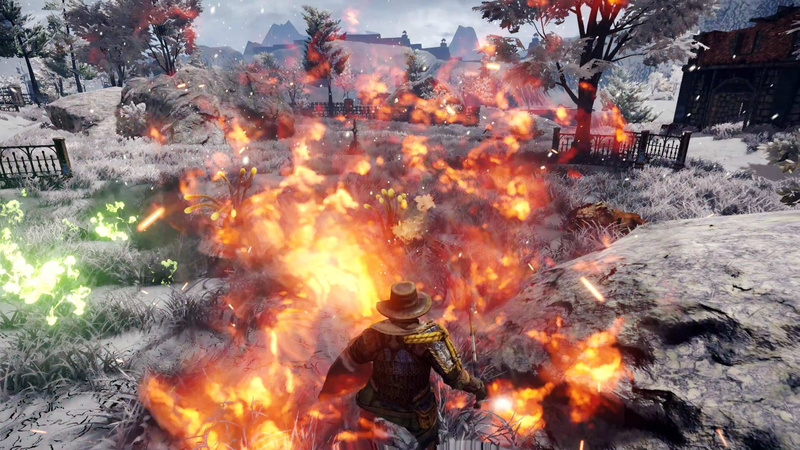 Outward may initially appear a lost cause but look past its unforgiving nature and you'll be greeted with an ambitious nod to old school RPGs with survival elements shrewdly weaved in. Outward's priorities are not widespread and a clear-cut focus on role-playing elements does an admirable job of compensating for lacklustre visuals and slack elsewhere. The realm of Aurai may seem daunting and unfair, but such is life and it’s a message clearly conveyed throughout. Besides, at the expense of a little loot, co-op and split-screen options are present for a more laid-back experience. Your journey will feel far less empty as you bob along to quintessential RPG soundtracks with a fellow adventurer by your side. Sadly, this doesn’t quite remedy finicky bugs and glitches that directly compromise what could easily be a far more remarkable player experience. 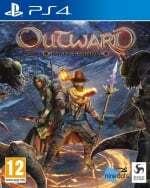 Outward may aim high but is most definitely flawed, constituting a game just above par that's most ideal for RPG enthusiasts. I've been curious about this one and was hoping you guys would write a few words on it. Cheers for the read! Might pick it up during the summer. Definitely on my rader. Old-school is still the best for RPGs as far as I'm concerned. 1 thing i give this game a massive tnx for is that despite having a tacked on coop mode,it does not lock you out any trophy if you don't play coop. there are no coop related trophies and that is a thing more games with a OPTIONAL coop mode should take notes about. making the game all the more friendy to SP gamers. i also heard that there is nothing in the game activity wise that forces you to coop which is also a great thing. might get this when most of the glitches have been patched out.